A review of Nick Spencer’s The Evolution of The West: How Christianity Has Shaped Our Values. 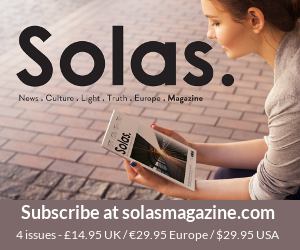 Although the high watermark of the New Atheism has passed, argues Nick Spencer, one of its lasting influences has been the almost complete triumph of the secular attempt to airbrush Christianity from the cultural landscape. 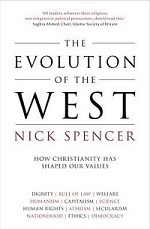 The Evolution of The West: How Christianity Has Shaped Our Values is Spencer’s attempt to reverse this process and reacquaint us with the formative importance of Christian thought. Spencer, the Research Director at Theos, presents an argument that the West would not look as it does today, without the influence of Christianity. Indeed, much that liberals and secularists most cherish about the West, would not exist in its current form were it not for this particular influence. However, the voices that wish to exclude Christianity from the contemporary public square do so on the basis of this selectively amnesiac view of history. Spencer’s quest, in this absorbing and profound little book, is to meet such critics on their own terms, and demonstrate by careful and scholarly analysis that such exclusions are unwarranted historically, and are therefore unjustifiable today. Spencer frames each of his arguments extremely carefully, and is anxious to avoid the error of attributing every gain to Christianity. The obvious point that some Christians opposed Wilberforce is enough to wreck some superficial attempts at historical apologetics. Spencer’s approach is far more nuanced, and as a result far more robust. His view is that both good and evil existed in our past in a deeply Christian context, which influenced everything. “The tree of Western values did grow in Christian soil, but it would be a mistake to imagine that soil had some precise blueprint for what the tree would eventually look like,” he writes. Rather than drawing neat lines between social gains and biblical proof-texts, Spencer demonstrates the way in which Christian thought was the structure within which all these debates were worked out, and an essential element in their outcomes. While the scope and range of this book is enormous, and the ground covered in less than 200 pages astonishing, the beauty of it is Spencer’s ability to distil vast amounts of research into remarkably clear and concise theses. The book is a series of themed essays, which are so well presented that they enable the reader to gain easy access to difficult and complex areas. In the 12 essays, Spencer covers areas as diverse as the development of the rule of law, equality before it and due process, the formation of nation-states, democracy, Darwin, humanism, human rights, and welfare. In each of these areas he presents a historically viable case for the vital influence of Christian thought. 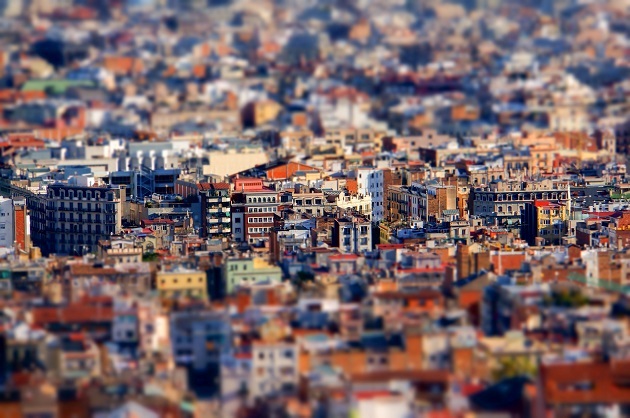 Two areas seem to crop up repeatedly. Firstly, there is Christian anthropology based on the imago dei. Secondly, there is the idea that the attempt to merely assert “human rights” and dignity as absolutes, without having a universal foundation to underpin them, is insecure. The blunt instrument of the old ‘axe the root, and loose the fruit’ argument is restated here in elegant and nuanced tones, fit for the 21st century. If there are any criticisms to be made of this book they are simply these. Firstly, chapter 10 is written at a higher academic level than the rest of the book, making it rather uneven. More importantly though, there are times in which Spencer, in his quest to meet secular contemporaries on their own terms, somewhat underplays the value Christianity has added to the fields he assesses. Seeking only to present a scholarly case against the exclusion of Christian thought from the public domain, he doesn’t press his case further to seek to persuade the reader of the value or truth of the Christian message itself. In this way, he presents a very different assessment of Christianity and history than, say, Vishal Mangalwadi (previously reviewed in these pages). If Mangalwadi is accused of sometimes overplaying his hand in seeking to persuade, Spencer might be accused of underplaying his in seeking to appeal to the cynical, secularist reader he has in mind. What is undeniably the case is that the story of “how Christianity crafted the building blocks that made the West” has been lost, and that as a culture we are deeply ignorant of the “deep reasons why the West became what it did”. Spencer’s book is a superb corrective to this historical fallacy, and should quietly strengthen the Christian Church’s confidence to resist being silenced.